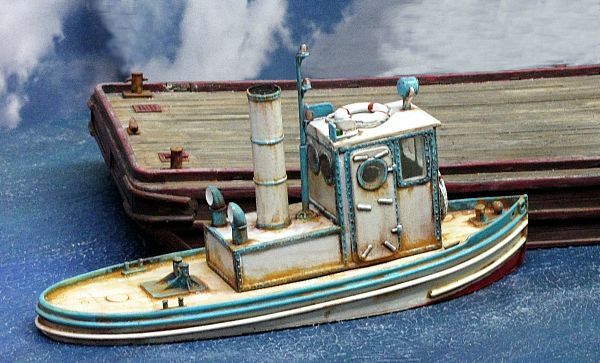 While this kit doesn’t have a specific prototype, it incorporates typical marine architecture that would be found in a small steam tugboat built around the turn of the century and used for moving small barges in and around rivers, lakes or harbors through the 1950's and 1960's. 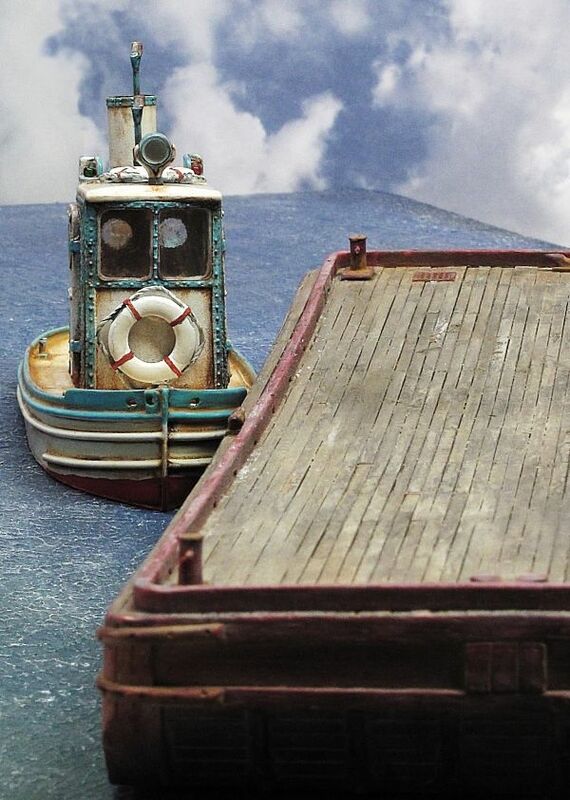 Packed with character and detail that make it ideal for display on any model railroad waterway. 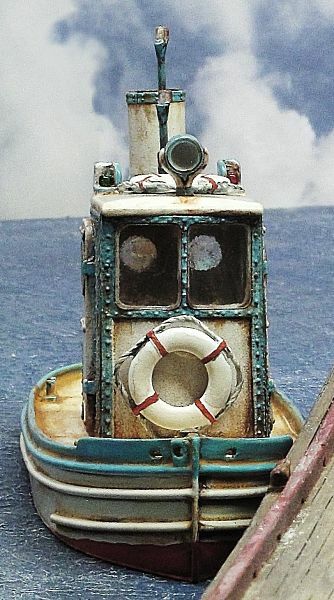 Kit consists of a one piece resin hull, one piece cast resin superstructure, resin smokestack, 2 resin life rings, lead-free pewter mast, funnels and searchlight. 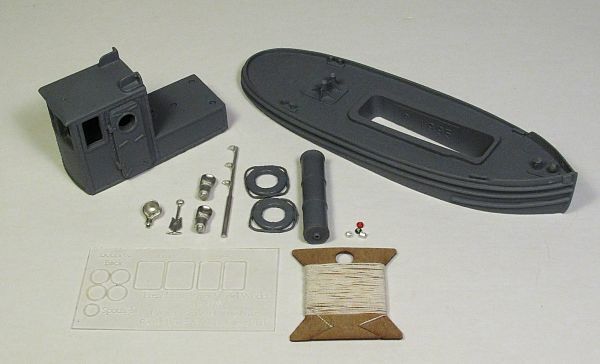 Laser cut window glazing included. 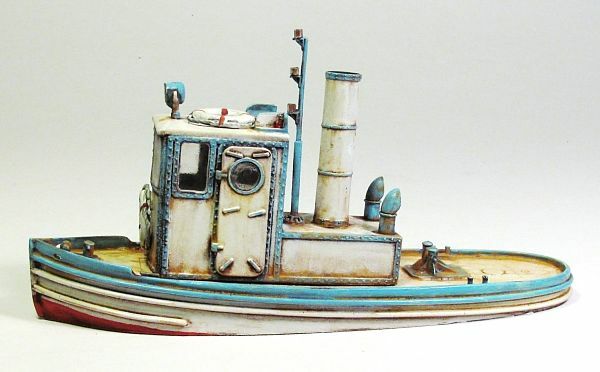 Finished tugboat measures approximately 6.18” long and 1.875” wide.